2.5 L capacity when you roll it up while 3 L capacity when you extend. 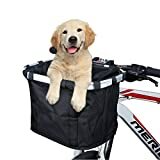 While cycling, it’s a bicycle front bag. While walking, it turns out to be a shoulder bag. Comes with a shoulder strap and due to buckle on each side, you can change its type as you need. Bag length is 27 cm. That means bike handlebar from left Bike Brake Lever to right Bike Brake Lever should longer than 27cm. PLS check your handlebar length before buying. PROFESSIONAL BICYCLE BAG: Deep dark look, fashion and profound. Made of premium PVC net clamping cloth, which features excellent waterproof and dustproof characteristic, meanwhile, durable and sturdy. Just wipe it to clean. 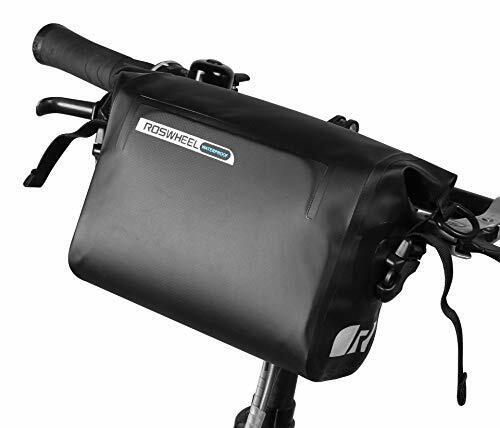 ADJUSTABLE HANDLEBAR BAG: It has 2.5 L-capacity when you roll up, however, when you extend, it turns out to be 3 L. Enough room for you to storage cellphone, cards, files or something else. 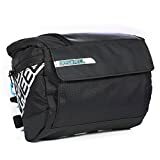 VERSATILE SPORTS BAG: While cycling, it’s a bicycle front bag. While walking, it turns out to be a shoulder bag. 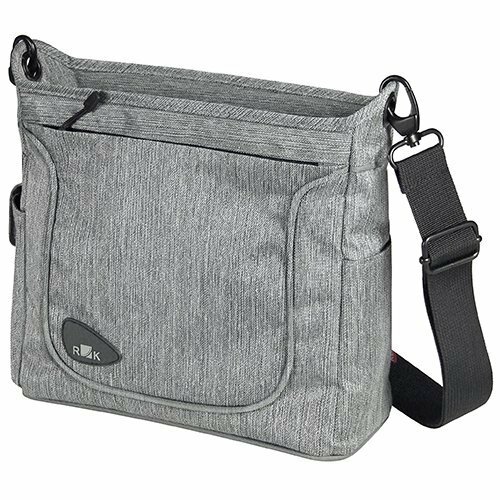 Comes with a shoulder strap and due to buckle on each side, you can change its type as you need. KNOW BEFORE ORDERING – Bag length is 27 cm. That means bike handlebar from left Bike Brake Lever to right Bike Brake Lever should longer than 27cm. PLS check your handlebar length before buying. What’s more, it may seems like unbearable when you put into a lot of items. For this puzzle, we can shorten the strap of buckle and makes it tight. Anyway, you’d better not put too many items in it, because when it gets too heavy, it may affect the handlebar and turn. 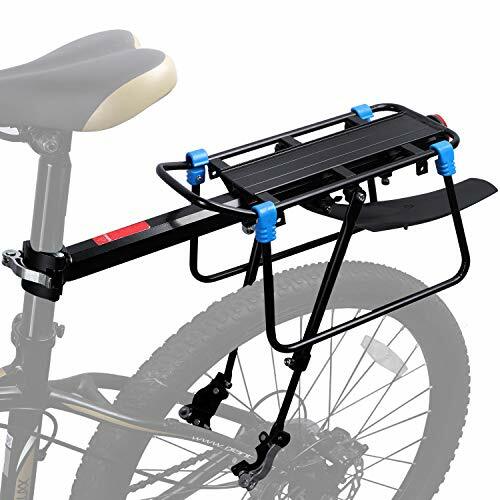 GREAT BICYCLE PARTNER: Thanks to 3 velcro straps and two buckles on each side, one can install it in a few seconds without any other tools. With reflective LOGO print, it makes riding more secure. 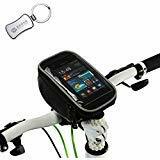 Great for night cycling.